It’s almost Earth Day…the day we celebrate all things Earthy. We look forward to this day every year. It’s an opportunity to reflect on all that the Earth provides us with and all the things we can do to show our love and respect for the Earth. 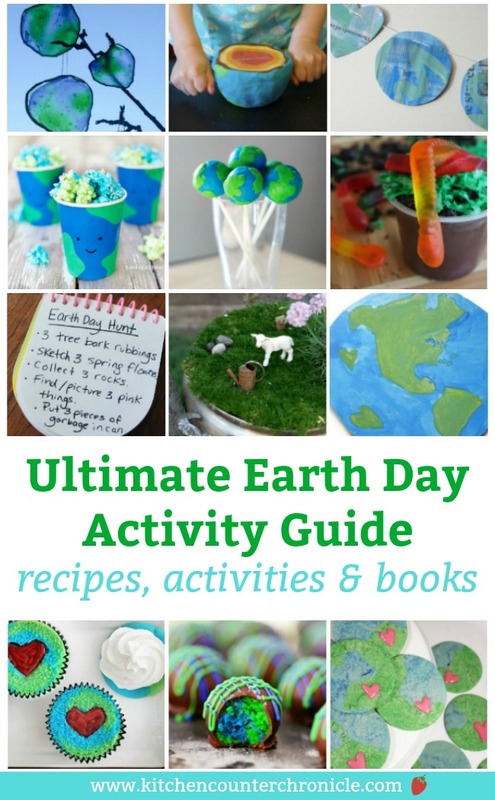 So, I thought that I would round up some fun ideas and create the Ultimate Earth Day Guide to Earth Day Activities, books, recipes and more. 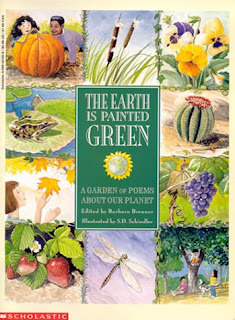 “The Earth is Painted Green” edited by Barbara Brenner – A charming collection of Earth, nature and garden inspired poetry. 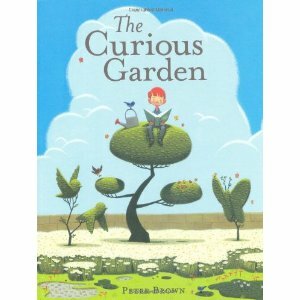 The Curious Garden by Peter Brown – I just love this book about a little boy who builds a garden where no one would have ever thought to have built a garden. 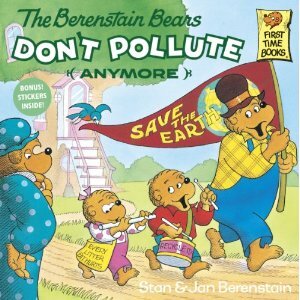 The Berenstain Bears Don’t Pollute by Jan and Stan Berenstain – This book reminds me of the enthusiasm of the anti-pollution movement of the late 80’s and early 90’s…the time when I got the eco-bug. My girls love this book. Brother and Sister bear learn all about pollution in Bear Country from their scientist pal . 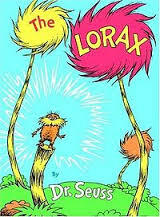 The Lorax by Dr. Seuss – This is the absolute classic environmental book for kids…it’s impossible not to learn an eco-lesson from this book. Planting a Rainbow by Lois Ehlert – This beautiful book introduces little ones to how a garden grows and the beauty of a garden. Go on an Earth Day scavenger hunt. Let the Magic Onions inspire you to create a fairy garden. Take a 3 R’s Pledge to reduce, reuse and recycle. It wouldn’t be a celebration without some fun music…here are some of our favourites. 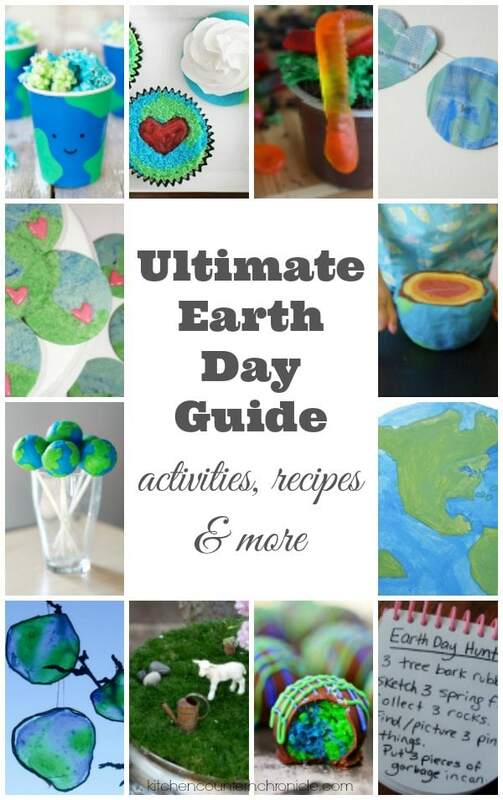 I hope this ultimate Earth Day guide inspires you to read, play and dance this Earth Day. There is nothing more important than passing the love of all things “green” on to our children. I love this post and you’ve given me some new books to add to our wish list. This is the first I’ve heard of “The Earth is Painted Green” and “The Curious Garden.” They sound like the perfect books to share with my girls. Oh we adore the Planting a Rainbow book… and my kids can all recite the Lorax word for word these days! LOL What a great list of resources, thanks for sharing! 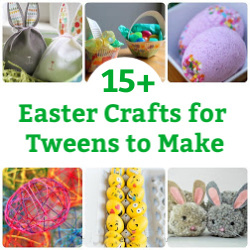 Great collection of Earth Day activities! 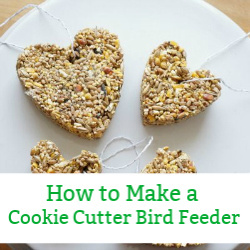 Thanks for sharing your post with us! 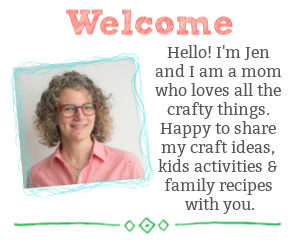 I hope you join us again (yeah I know it’s a day late… linky issues) at Eco-Kids Tuesday! !